People still fall in love, I understand. Do they write love letters? How do they write them, on the computer, on the smartphone, by emoticons? Is anyone writing by hand, in ink, on a blank piece of paper and not inside a Hallmark card? When I was young I wrote letters to my loves. And I received letters from them. The emotion of pulling an envelope out of my mailbox with my name and address written by someone who was then consuming all my thoughts was heart stopping. 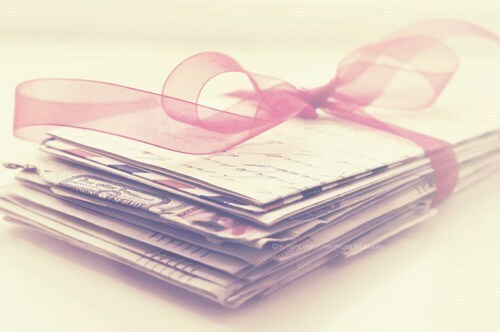 It felt as though my heart could not beat again until I had extracted the letter from the envelope filled with writing, with swoops and curls and dashes and punctuation made by a loved hand. How potent were the sensations aroused by that writing, more so even than the sentiments it expressed, because to some degree sentiments are part of the currency in which all lovers trade, whereas the shapes of the written words were the physical representation of solely the person who formed them. The writing was as intimate and transporting as an embrace. How much longer can we expect that people will write letters by hand? Last spring, while I was in Italy to attend ceremonies celebrating Marcella’s life, I read a piece in The New York Times titled “What’s Lost as Handwriting Fades”. It was a review of recent scientific studies of the effect handwriting has upon children. It’s too long to post here, but I’ll quote from one paragraph: “ . . . when (children) learn to write by hand, they remain better able to generate ideas and retain information. In other words, it’s not just what we write that matters — but how. When we write (by hand), a unique neural circuit is automatically activated, said Stanislas Dehaene, a psychologist at the Collège de France in Paris. There is a core recognition of the gesture in the written word“ When Marcella died, she left behind several notebooks filled with the manuscript of a book about ingredients. Marcella wrote in Italian in a tight, round cursive hand, single spacing and filling the page to the very margin. She wrote extremely quickly, in full command of her subject, with no crossings out or revisions. I have been preparing that manuscript for Marcella’s publisher, Scribner’s. It has taken me a long time, longer than her editor would have liked. In the writing on those pages I recognize Marcella’s gestures, I hear her voice, I am in her presence. It has been more sometimes than I have been equal to. It has been heart stopping. Marcella’s last love letters. Victor. Previous Post San Valentino for Two: a Valentine’s Day Gift with Free Shipping!